At Astro Dog Grooming and Clipping we provide specialty breed clips as well as the family pet clips. The health and well-being of your pet depends highly on the grooming and cleaning of your pet. It is beneficial to keep your pet brushed, combed, knot free, clean and comfortable. Grooming is the cheap and effective way of doing that! 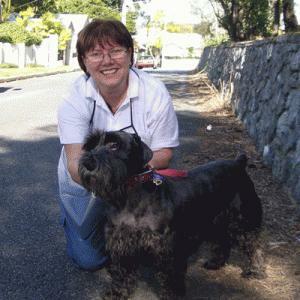 We are here to provide you with all the professional advice needed to have a happy, healthy and well groomed dog. At Astro Dog Grooming and Clipping we provide specialty breed clips as well as the family pet clips. Our breed clips and longer clips all require highly skilled personal and a lot of patience. These clips are more expensive due to the time and expertise required to make your dog look a cut above the rest. A matted dog has no insulation from the heat or cold either, because air cannot circulate through his coat. Matted coats can be extremely painful for a dog to live with; it is like having hundreds of rubber bands pulling tight on your skin. This is why regular grooming is not a luxury but a necessity. Generally two clip offs are necessary to achieve the ultimate look, the first clip will remove all the excess hair, followed by a full wash & blow dry to straighten the coat, enabling the groomer to achieve the best possible finish. 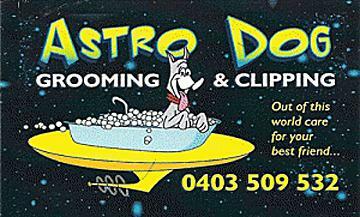 Bookings at Astro Dog Grooming and Clipping are essential to prevent overcrowding. Please remember to also call if you need to make a change to your appointment.